West Worthing Tennis Club (WWC) were delighted to receive the Community Venue of the Year Award for rolling out their impressive ‘Crackit Tennis’ programme this summer. 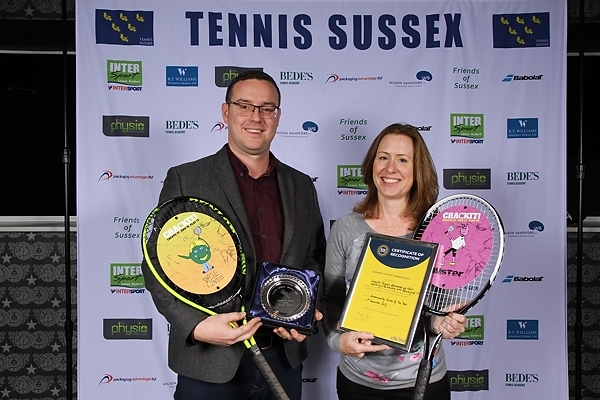 Popular WWC were presented with the coveted award at the recent Tennis Sussex Awards ceremony at Amex. The creation of WWC’s Crackit Tennis programme, in partnership with Future Proof CIC, helped introduce more than 80 local children to tennis, many of who had never picked up a tennis racket before. The locally-funded Crackit scheme was professionally structured by WWC’s coaches and was offered as an after-school club to encourage children over 12 to grasp the basics of tennis and exercise more. Spanning four, six-week courses Crackit covered every aspect of tennis both on and off the court. Coaches taught the basics of the game with fun-filled tennis-related exercises and team games to inspire everyone to pick up a racket and enjoy the game. Children also had the opportunity to personalise their rackets with comic art sporting characters – an inspiring combination of design in the classroom with on-court lessons. The final week proved a friendly, but competitive affair, as children played in their team t-shirts with rackets emblazoned with their respective characters. Youngsters who completed the course all received a racket adorned with their sporting characters.